According to reports, a safety awareness campaign has been launched by IKEA after the deaths of two kids in the US who died after falling chests that were not appropriately attached to the wall. US and Australian customers who have chests and dressers, together with the popular MALM series, can return them to any IKEA store and take a free anchoring kit in order to make sure that the furniture does not fall over. According to a spokeswoman for the Swedish furniture company, in Australia, IKEA chests and dressers were distributed along with tip-over restraints and instructions for anchoring to wall. Furniture major IKEA has banned people from playing hide-and-seek in its Dutch stores. Sky News has reported that the chain has banned the children's game, after thousands of people got engaged in it last year in Belgium. According to one of the event's organizers, Elise De Rijck, people many a times were hiding in fridges, under stuffed toys and blue IKEA bags, and in the storage spaces under beds. Rijck added that no doubt it was really exhausting, but at the same time was so much fun. In the meantime, IKEA was less enthusiastic. Martina Smedberg, IKEA Group spokeswoman, told reporters, "We need to make sure people are safe in our stores and that's hard to do if we don't even know where they are". Washington, Oct 28 : Ikea has come up with a range of adjustable desks that can help you quit your sedentary lifestyle. The "Bekant", which is a relatively affordable line of electrically-adjustable standing desks, can make you go from sitting to standing with the press of a button, the Verge reported. Mumbai : World's largest furniture retailer Ikea on Wednesday said it has plans to invest Rs 12,500 crore to set up 25 stores in the country over the next decade. It will mobilise around USD 500 million more from its global partners for investing in these proposed stores. "We are looking at investing around Rs 12,500 crore to set up 25 stores at a cost of Rs 500 crore each. IKEA has said that it has recorded a strong boost in its profits as the shoppers spent an estimated €2m per week on home furnishings in its store. The retail giant said that the store in Dublin doubled its pre-tax profits to €5.8 million. Data from Ikea Ireland showed that the company recorded an increase of 96 per cent in pre-tax profits to the level of €5.8m in the 12 months till August in the previous year. Customers increasing purchased best-sellingprodycts including Billy bookcases, Expedit storage units and Lack tables from the store. Swedish retailer Ikea's first furniture store may come up Greater Noida, Uttar Pradesh, Ikea officials's recent meeting with state principal secretary for infrastructure & industrial development, Surya Pratap Singh, suggested. Some senior officials of Ikea India reportedly met with Mr. Surya and told him that Uttar Pradesh is one of the retailer's priority states and that the retailer would assist in the growth furniture sector. Ikea officials also assured Mr. Surya that the retailer was committed to generate new opportunities for local manufacturers. Swedish retail giant IKEA Group, which has obtained clearance for a 100 per cent venture in India, is now looking for large land tract near highways and metro to set up its stores. IKEA India Chief Executive Juvencio Maeztu said that finding the right locations for the company's stores in the country was very important so that people could access the stores easily. IKEA Singapore has claimed that it was able to sell an impressive 249,375 meatballs in one day on Friday after the Swedish retailer returned the product to the shelves. The meat ball was sold at just 10 cents per piece in order to mark the return of the product at the company's restaurants. The attractive price pushed up sales as Singaporeans 249,375 meatballs on Friday and this allowed IKEA Singapore to gain an entry into the Singapore Book of Records for the 'Most Number of Meatballs cooked and sold in a day'. Even as the customers continued to spend millions of euros at the Dublin outlet of Swedish furniture giant Ikea, the store's pre-tax profit fell significantly during the one year period till August, 2012. The Foreign Investment Promotion Board (FIPB) is reviewing IKEA's request to open cafeterias at its proposed retail stores in India today, Monday, and the Swedish furniture giant is largely expected to get the green signal. Headed by Economic Affairs Secretary Arvind Mayaram, the FIPB has already cleared Ikea's investment proposals worth Rs 4,200 crore in the single brand retail sector. But the board had not allowed the furniture giant to set up cafeterias as part of its mega stores. The government is mulling over plans to impose stricter conditions to make foreign retailers like furniture giant IKEA to follow proper sourcing norms, a government official with direct knowledge of the development revealed. IKEA proposes to have two separate divisions - one for front-end stores and another for sourcing in India, while the cautious government wants to make sure that these retailers don’t depend on cheaper imports from foreign countries. Swedish furniture giant, Ikea has expressed regret over benefitting from the use of forced prison labor by some of its suppliers from East Germany more than twenty years ago. The company released an independent report that said East German prisoners were involved in eth manufacturing of the products that were supplied to the company at that time. Ikea is famous for cheap furniture and the use of forced labor might have helped the company keep its prices low at that time. Spain-born Juvencio Maeztu has been appointed as the Country Manager for IKEA Retail India, as official from the Swedish furniture retailer has revealed. The news of appointment of Maeztu as the chief of the IKEA's Indian operations came just a day after the furniture giant filed the finbal part of its application with the Indian Government to start in India. Maeztu has reportedly been serving IKEA for the last twelve years. Most recently, he was shouldering responsibility for IKEA's London business. 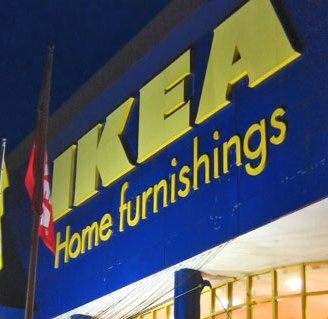 Taking recent developments related to single brand foreign direct investment (FDI) in retail positively, Swedish furniture retailer IKEA has announced its plan to open its stores in India. Last month, the government of India relaxed rules on sourcing from local suppliers to encourage foreign investors to invest in the country. IKEA said in an emailed statement that it had already filed application to start trading in India - the second most populous country of the world, after China. Swedish home furnishing major, IKEA has launched a new augmented reality catalog for the customers to experience in a more personalized manner than earlier. Ikea prints as many as 210 million copies of its catalog each year for the customers, a number which is very high in the age of digital content flying around in various consumer held devices. The new augmented reality catalog will allow the users to use their phone to see an “X-ray” depiction of the unit by simply pointing towards the product. The Department of Industrial Policy & Promotion (DIPP) of the government of India has accepted several key demands put forward by the Swedish furniture retailer, IKEA relating to its huge investment plans for the country. The officials have agreed to relaxation of the 30 per cent mandatory sourcing requirement from the beginning of its operations. The department has also accepted the definition of `small scale' sector of the company that has to mandatorily source products under the rules for 100 per cent foreign direct investment in single-brand retailing.